A new study says advances in simulations are creating a more accurate picture of the future climate, and current global sea-level rise due to Antarctic ice loss might only be half what has been reported in major studies in the last few years. Scientists from 12 specialist centres across the world, including the University of Southampton, have – for the first time – collectively studied advances in both observations and simulations of ice-sheet mass changes. The team of experts confirm recent results showing a brighter future in relation to the contribution to global sea-level rise from the Antarctic Ice Sheet – with contributions being only half of what has previously been reported – but also confirmed a major loss of mass from the Greenland Ice Sheet, thought to be double the Antarctic ice mass. Robert Nicholls, Professor of Coastal Engineering at the University of Southampton, says: “Future increases in mass loss from the Greenland and West Antarctic ice sheets are likely to significantly enhance the rate of global sea-level rise, which is currently just over three millimetres per year, as these ice-sheet changes become an increasingly dominant contributor. The paper, titled ‘Ice-sheet mass balance and climate change’, published by the journal Nature, shows how uncertainties in modelling methods have been reduced thanks to better theoretical understanding and advances in measurement techniques that make use of radar, laser and satellite data. This allows scientists to better predict the impact of climate change on ice-sheet mass balance and global sea-level rise. 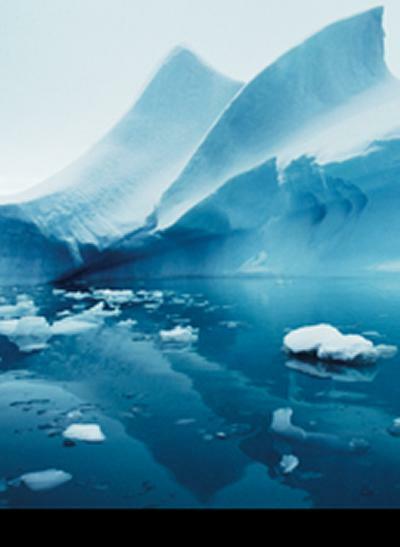 Since the last Intergovernmental Panel on Climate Change (IPCC) Report was published in 2007, there have been several major improvements made to computer model simulations of ice-sheet behaviour, which have enhanced experts’ abilities to predict how ice sheets will respond to future climate change, while at the same time uncertainties in some of the satellite observation methods have been reduced.